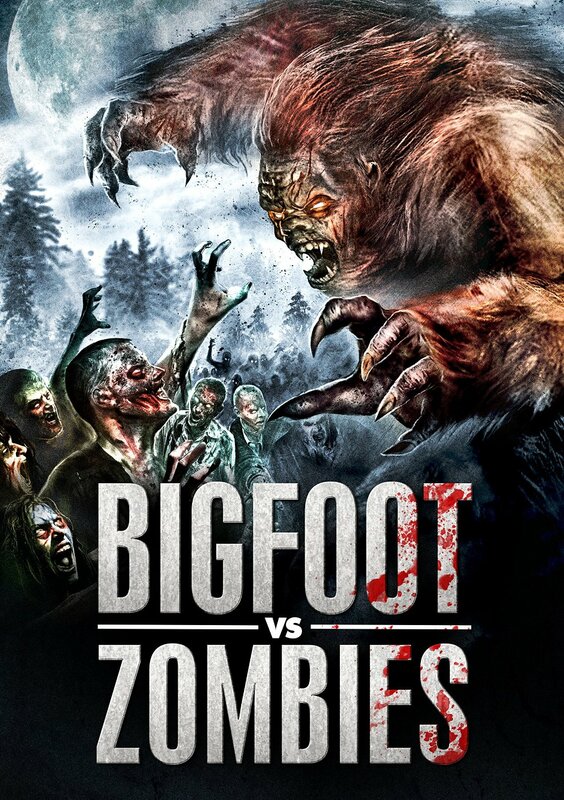 2016 maybe the year that Batman and Superman finally clashed, but let us not forget that also in 2016 the undead fought their greatest foe in the form of Bigfoot in what will go down as one of the greatest battles since Muhammad Ali vs George Foreman. Ok I might be stretching it a bit but this is another fun entry from Mark Polonia with sfx done by Brett Piper. A scientist is creating a chemical on a body farm that will help speed up the rate of decomposition but when the bodies start disappearing on their grounds they put it down to a wild animal digging them up. It soon transpires that it isn't a wild animal but the dead are coming back to life thanks to this supposedly brilliant chemical and the only thing that can help them in this fight against the zombie horde is Bigfoot. This is a wild cheesefest that will keep you entertained throughout with its wacky storyline and the amusing characters. Standout performances go out to Danielle Donahue as Renee the secretary/scientist at the body farm and Ken Van Sant as Duke Larson the man hired to kill the beasts that roams the grounds. Considering sfx are by Brett Piper you won't see any stop motion animation here but slap dash make up and joke shop masks for the zombies. The Bigfoot is a man in a suit that has seen better days but at least it is better then some of the poor cgi Bigfoots I have seen over the years. The music is really good in this film and fans of Lucio Fulci's 'ZOMBI' (a.k.a. Zombie Flesh Eaters) (1979) will get a kick out of it as it is definitely influenced by Fabio Frizzi's score.